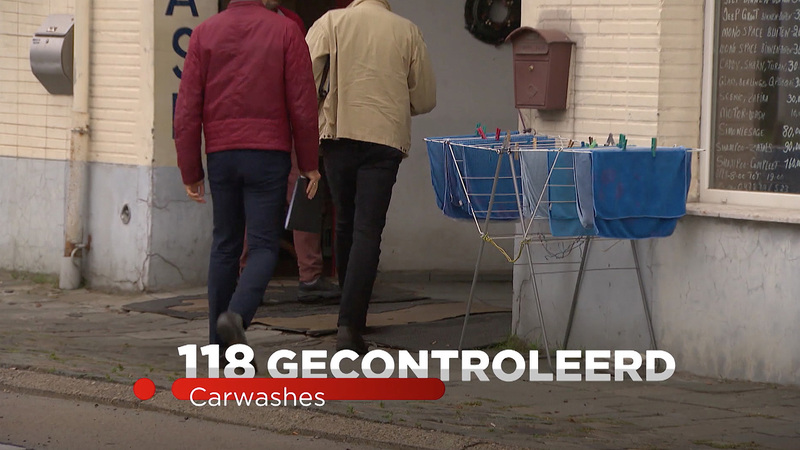 Belgian broadcaster VTM Nieuws debuted a comprehensive update in early September aimed at repositioning its newscast as a relevant, 360-degree brand that works across all platforms. Wanting to move beyond the one-hour newscast, the change for the broadcaster includes a new brand identity system, motion graphics package, digital presence and updated broadcast studio. 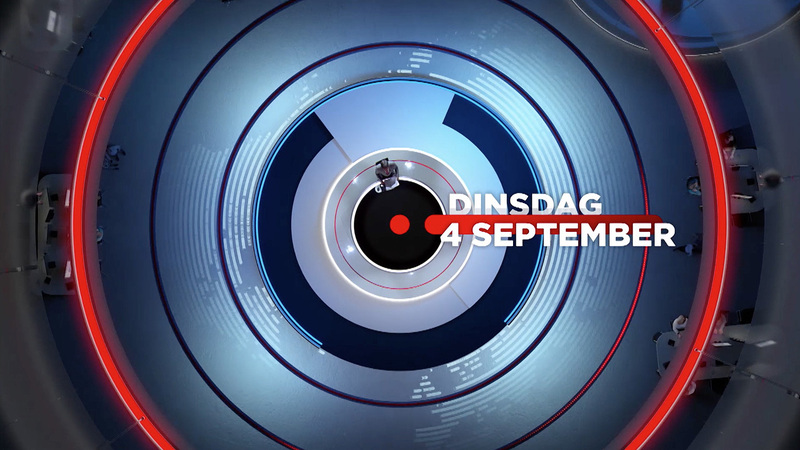 “To make VTM Nieuws a truly 24 hour news brand, with round-the-clock relevance to its Flemish audience, and not merely a one-hour tv programme, a brand grammar with a dynamic and straightforward identity was required, as well as a graphic design that would operate across all platforms, securing the on-going relevance and success of VTM,” notes Gédéon, the branding agency that lead the redevelopment. At the heart of the new look is the “continuum” shape, which is noted as a “guide for the viewer experience” across the various platforms and design elements. Throughout the package, the “continuum” is used as the basis, growing as needed. 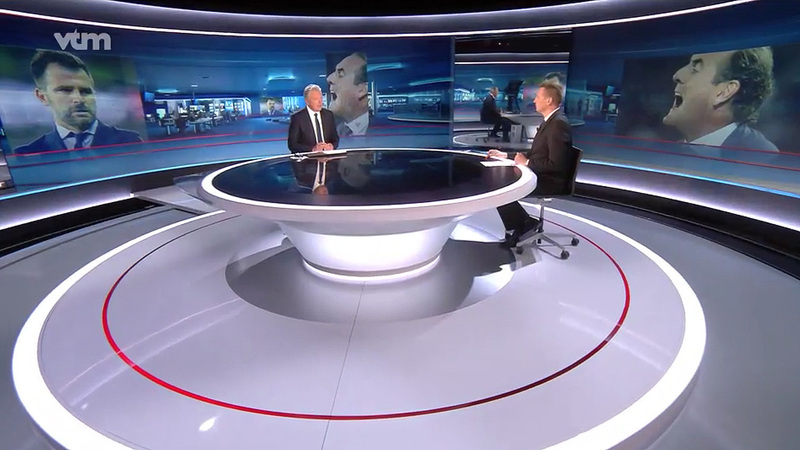 In the open, for example, a hybrid camera shot combines virtual and real to show the presenter at the anchor desk with the “contiuum” emerging, creating the opening titles. After the headline bed, this sequence ends with the shape adorning the anchor desk with the specific broadcast title. In the broadcast studio, VTM kept the bones of its existing set design from 2013, updating the space to incorporate updated branding and more contemporary elements. 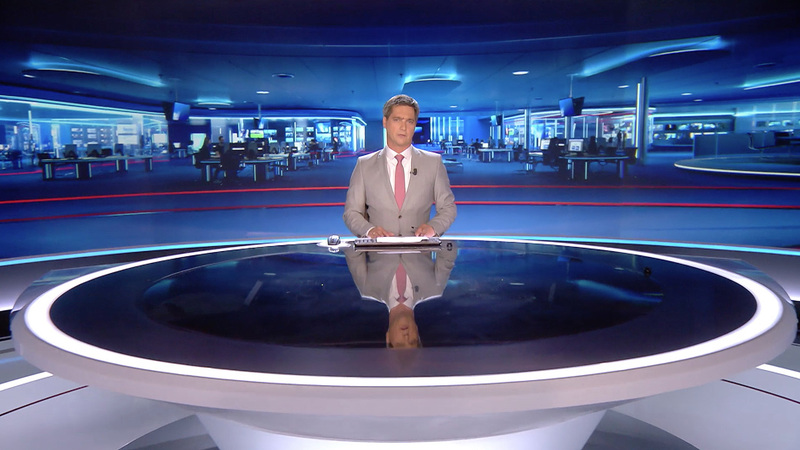 “We wanted a powerful backdrop that radiated news that brought the anchor to the viewer, with iconic elements such as a globe and a graphic world that folds around the anchor with fresh colors,” said Nicholas Lataire, the Editor-in-chief of VTM Nieuws. 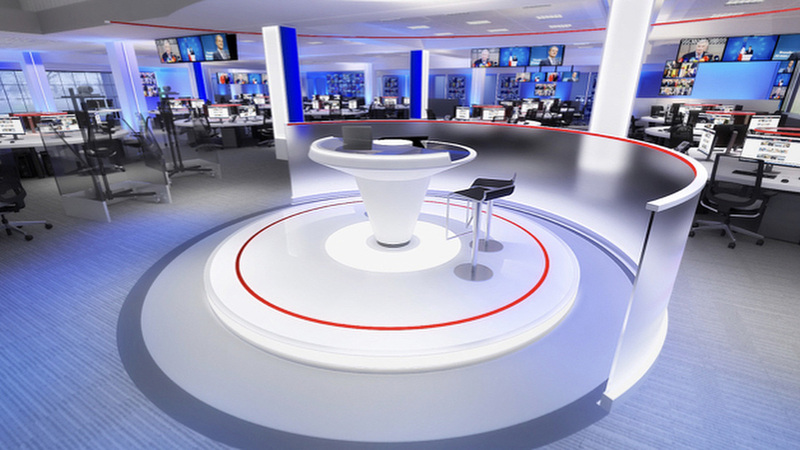 The updates in the studio, from the original set designer Jago Design, include a revised anchor desk with integrated lighting and a tapered appearance. The virtual set extensions were also updated to modernize the background. 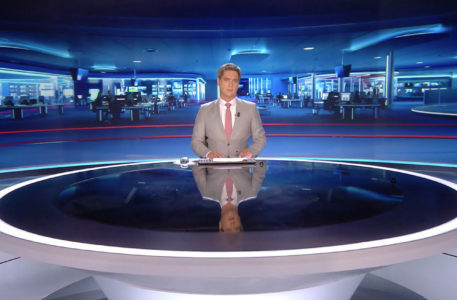 The newsroom also saw updates as part of the larger digital-first strategy, allowing presenters to anchor online coverage or breaking news from a small flash-cam desk with robotic cameras. VTM is slated to move broadcast facilities from Vilvoorde to Antwerp in January 2020, so cost was also a factor in the upgrade.